Some Intel Apollo Lake devices have an option in the BIOS that allows the selection of a bootable OS. Unfortunately on a lot of mini PCs this option is either not present or doesn't include 'Linux' which is required to boot official Ubuntu and Ubuntu flavoured ISOs. Previously I addressed this through adding an option to my 'isorespin.sh' script allowing the ISO to be respun with the rEFInd boot manager to enabled booting. Whilst investigating why GRUB fails to boot I've developed an alternative approach which I have incorporated into a new release of my 'isorespin.sh' script. Now when respinning with the '--apollo' option the respun ISO replaces the GRUB EFI files with a single EFI file that corresponds to the entry in NVRAM created by the GRUB installation. 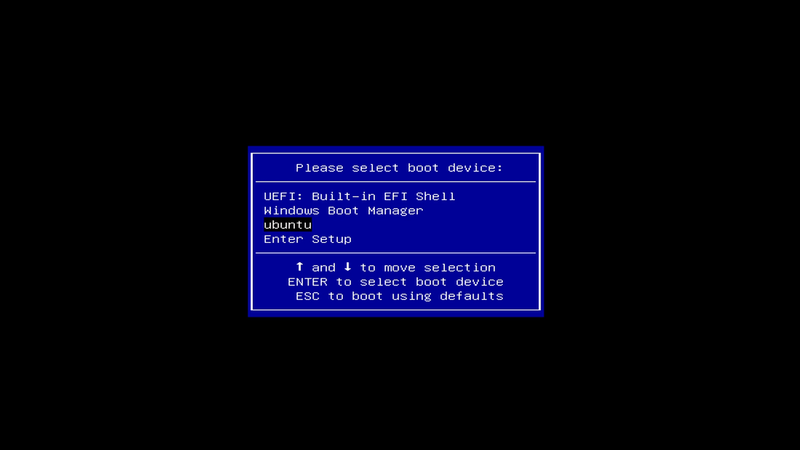 This EFI file boots the device directly to Linux similar to how Windows boots. It uses a script I've written that hooks into the 'initramfs' tools to create a bootable EFI file every time 'update-initramfs' is executed. This means if a new kernel is installed the EFI file is automatically updated to boot the new kernel. To respin an ISO suitable for Intel Apollo Lake devices first download my latest version of 'isorespin.sh' and then respin using the '--apollo' option. If you have multiple kernels installed it is still possible to boot from a specific kernel simply by rebuilding the 'initramfs' file for that kernel. So for example if you are currently running the 4.10.0-40-generic kernel and want to revert to the 4.10.0-19-generic then just run 'update-initramfs -u -k 4.10.0-19-generic' and reboot. One issue that might be encountered is where the EFI partition isn't large enough to store the bootable EFI file. Some Windows installations only create a 60MB partition which after installing the Windows EFI files leaves only around 30MB. With the later Linux kernel releases the size and number of modules have increased and if the 'linux-image-extra' package is installed then the corresponding 'initrd.img' is now quite large (over 200MB). Recent kernels only have the minimum set of kernel modules in the 'linux-image' package with the remaining ones in the 'linux-image-extra' package. Whilst in the past installing just the 'linux-image' package was sufficient when upgrading to a new kernel it is now recommended to install both 'linux-image' and 'linux-image-extra' packages. If there is insufficient space the resultant installation will not boot so the solution is to increase the size of the EFI partition by following the instructions posted here. As a result I've written an additional script that will shrink the size of '/lib/modules' by removing all unused modules from the combination of the 'linux-image' and 'linux-image-extra' packages for a specified kernel. Simply download the script 'update-modules' and pass the kernel version you want to shrink as the parameter. For example if you want to shrink the overall size of '/lib/modules/4.10.0-19-generic' then run the command 'update-modules 4.10.0-19-generic'. The script will also automatically regenerates the 'initramfs' file and create the bootable EFI file. So if you are running with a small EFI partition and installing a new kernel fails to create the bootable EFI file then running 'update-modules' will fix this. Note that the script requires an internet connection to temporarily download and examine the modules in the 'linux-image-extra' package. If having removed unused modules a new peripheral requires a missing driver (i.e. 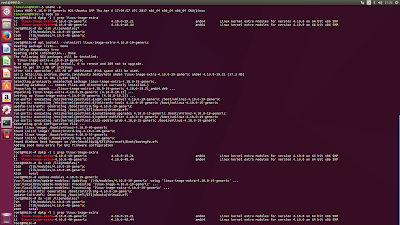 module) simply reinstall the 'linux-image-extra' package. For example connecting a USB Ethernet adaptor for the first time when running a previously reduced 4.10.0-19 kernel does not get recognised. Reinstalling all the drivers/modules using the command 'apt install --reinstall linux-image-extra-4.10.0-19-generic' and the adaptor can now connect. The remaining unused modules can then be removed by re-running the 'update-modules' script if space is a consideration. It is also possible to respin a bootable ISO for Intel Apollo Lake devices by using the '-b Linuxium' option which is actually what the '--apollo' option now does. Adding the 'Linuxium' bootscript (as implied by the '--apollo' option) does not actually restrict the ISO to boot on a specific processor however it does depend on the boot loader used by the device. An ISO respun with the '-b Linuxium' option will work on any Intel Atom and Apollo Lake devices if they are using a 64-bit boot loader which is the case for Apollo Lake devices. Also note that persistence cannot be added to respinning an ISO in conjunction with the '--apollo' or '-b Linuxium' option. This is because persistence adds the rEFInd boot manager which incidentally also boots on both Intel Atom and Apollo Lake devices using a 64-bit boot loader. As an example I've respun the Ubuntu 17.04 ISO using the '--apollo' option and included the 'update-modules' script which is available under '/usr/local/bin' and created an ISO suitable for booting on Intel Apollo-based mini PCs. Anyone wanting to spin their own can download an ISO and respin using my 'isorespin.sh' script with the above options or after consulting my documentation. Please donate if you find the ISO or scripts useful using the following link http://goo.gl/nXWSGf. Thanks for reporting this issue. I've fixed this by correcting the support for Ubuntu flavours and released version 8.0.1 of my script 'isorespin.sh'. The download links are the same so all you need to do is download the script again and respinning using the same command. Can you provide more details about the error you encounter during installation? Is it an 'elementary OS' issue or specifically related to the respun ISO? What is the download URL for the elementary ISO and what options did you use when respinning it and I'll have a look. Okay I'll run the same command and also try an installation. as this will clear out old EFI files ready for the installation. Regarding the respin Ubuntu GNOME I ran 'isorespin.sh -i ubuntu-gnome-16.04.3-desktop-amd64.iso --apollo -k v4.14' which worked fine (note: using '-u' option will now install the 'v4.15-rc1' kernel so I used the '-k' option to hopefully replicate what you did). I suggest you first try rebooting using your USB to see if the problem still exists otherwise try respinning and recreating your USB again as it should work. I keep replying to you on the 'customing' section, but the replies never appear. So I'm trying again here. I've done this, as you advised, but the resultant USB won't boot. Neither will another stick which worked previously. Is this an EFI space thing do you think? You need to click on 'Load more...' at the bottom of the page (several times on some pages) to display all the comments. I've just uploaded a revised version of my script that should fix you boot issue. 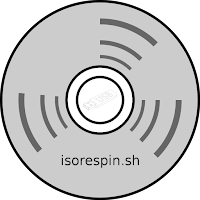 You will need to download my 'isorespin.sh' script again (see top of page for download link) and respin your ISO. Thanks, Linuxium. I always click on 'Load More'. Doesn't help. I'll try downloading your new script. BIOS/EFI screen appears; select boot from usb; boots existing installed system. Same as before. Can you boot and post the 'dmesg' using pasteinit or similar? Can you post the 'dmesg' after booting from the respun ISO? As I said, it won't boot. The existing system that that dmesg is from was installed from a respun ISO. I cannot boot the new one. The new one was generated from your latest version . . . When you said "select boot from usb; boots existing installed system" can you provide the 'dmesg' from that type of boot so I can compare with the previous 'dmesg'? That IS the dmesg. Maybe I wasn't clear . . . I turned the machine on and pressed F2 to enter the BIOS. Selected the Boot Device as the USB stick (which was in place). It booted from the SSD. That's what I've done with every other respun ISO I've used, but they've always booted before. You're very patient. Thanks again. When you select the USB to boot do you see a GRUB menu next? If not what specific options do you get for 'Boot Device' after you have entered the BIOS by pressing F2? As option #1 will boot your installed Ubuntu does option #2 boot your USB? No. That's exactly the problem. It boots the installed Ubuntu no matter which one I pick and save. I've tried many times. Just checking -- is VERSION="8.0.2" the latest one? No becuase '8.0.4' is the latest version. I'm assuming your device isn't one affected by the BIOS issue (see http://linuxiumcomau.blogspot.com.au/2017/12/lenovo-bios-issues.html). For now I'd recommend to make sure you are running no later than an Ubuntu 4.10 kernel on your running Ubuntu (so as to avoid this issue) and then boot to that 'safe' kernel and clean out all your NVRAM entries for Ubuntu (see 'NVRAM sync issues' in http://linuxiumcomau.blogspot.com.au/2017/06/customizing-ubuntu-isos-documentation.html). I'd then try booting from your respun ISO again and if it works perform a clean installation. They both work for me and they both look okay so I'm not sure why they don't work for you. They just churn and Chrome says "Waiting for linuxiumcomau.blogspot.com.au" alternating with the same '.co.uk' for some reason. But you can see the comments on this page. What is the difference between the URLs then? Oho -- they work when I change the 'http' to 'hpps'. When you say "make sure you are running no later than an Ubuntu 4.10 kernel", do you mean a version not greater than 4.10? The running level is 4.14. I'm hesitant to recommend using the 4.14 kernel unless you use the 'fixed' kernel of Ubuntu-4.13.0-21.24 or greater due to the known BIOS issue. It may not affect you directly but as principle I don't want to endorse using a known affected kernel. And the wifi worked with no further tweaks. But the sound is completely dead. Doesn't even recognise the hardware this time. In 'Sound Preferences / Output' it says 'Dummy output'. In 'Sound Preferences / Hardware' the device configuration box is empty. Tomorrow I'll Google for answers. Too tired now. Didn't find anything that worked. Ubuntu seems to have a longstanding big problem with sound. I've had no problems on the tower with Mint 18.2 Mate so far, but have had intermittently with previous versions and with vanilla Ubuntu distros as well. You have used a kernel that is too old (i.e. less than v4.11). Try '-k v4.14.12 --atom'. But you previously said "For now I'd recommend to make sure you are running no later than an Ubuntu 4.10 kernel", so I'm a bit confused. I forgot you needed a kernel with HDMI LPE Audio as I was too busy trying to make sure you didn't 'brick' your BIOS by using a later kernel. What with the BIOS issue, Meltdown/Spectre vulnerabilities, mini PC depending on specific kernels for patches for different functionality and not necessarily being able to solve everything just by using the latest kernel has made it all a rather complex and confusing! Anyway try '-k v4.14.12 --atom' as this should work for you. Done that. This one won't boot. Just boots the existing system. work and if not can you post the 'isorespin.log' files for each respin? I will do that, Linuxium, but I'm a bit busy so it might take a few days. This is off-topic to apollo, but I thought I'd ask here anyway. We are probably about two months from release of V4.15, as the rc1 came out yesterday. I was wondering what the means for respinning. Does anyone have any insight as to what will still be required as extra packages, what has been integrated into the kernel, etc? To be more specific, if I was to respin a v4.15-rc1 image, should I change any linuxium packages that are typically included in the respin? The Canonical pre-compiled kernel packages (header and image) are not ready for respinning yet as there were several config changes and they haven't been reflected in the built images (the config is based on v4.14). Thanks for the heads-up. I'll stick with 4.14 for now. Can you try respinning again as I've updated the UCM files to include those for the ES8316 codec and this hopefully will fix your audio. Most likely the bluetooth device ID will need adding to the kernel before it works so you can either compile your own or hope/wait for the relevant patch to come along. As the sensor is device specific have you asked on forums dedicated to your device? The Bodhi ISO is structured differently meaning my script requires changes. Only if there was sufficient interest would I add support for Bodhi. Hello. I use isorespin with --apoll and kde neon iso. it was established normally. But during the load system system not start, only (initramfs). Fixed. neon created it's own NVRAM entry. You will have to download my script 'isorespin.sh' again and respin your ISO. did not help. again (initramfs). If you can provide more information like device details and a 'dmesg' I can take a look at it as currently it works on my test devices. Is there any way to easily adapt the script for Ubuntu Server or Debian? I want to replace my Raspberry PI3 with a Beelink Mini PC with an SSD and I don't want all the UI stuff of Ubuntu Desktop. Unfortunately, the script doesn't work on the Ubuntu Server/Debian ISOs it seems. My 'isorespin.sh' script is designed specifically around desktop ISOs. You can always remove the desktop once installed if you want to create a server environment. Hello Mr. Linuxium. Thanks for your great work! I have trouble with isorespin v. 8.0.2 using "./isorespin.sh --apollo --iso lubuntu-17.10-desktop-amd64.iso --kernel v4.14" for a Beelink AP34. Respinning works well and I can burn it to a USB flash drive. I can also boot from the USB flash drive and the system seems to work well. However, if I try to install the Ubuntu, it does not boot. I have also tried with rEFInd, which did not work. If I install Ubuntu using the installer, does it also install your custom bootloader? Or do I need to take a different approach? btw. why don't you support Ubuntu Server and Debian ISOs? 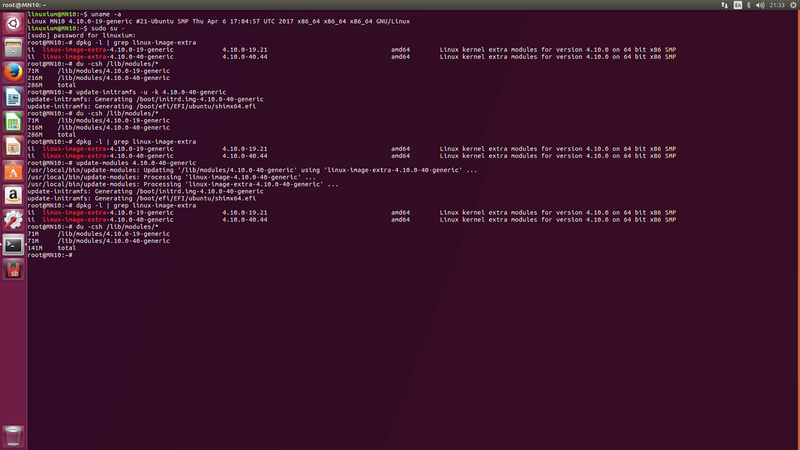 At least Ubuntu Server would make sense for me and should not be an effort! You probably don't have enough space on your UEFI partition. Try mounting it from a LiveUSB and cleaning out all the unwanted bootloader/bootmanager files so that you have around 52GB free. The build for server ISOs is different and the demand for them isn't there. Debian ISOs need a Debian kernel not an Ubuntu one so again more work when there isn't the demand. 1) I can download your image from https://goo.gl/CH2YKr , installed in a USB (by "dd" directly in other linux), and booted it selecting the USB in the EFI "bios"
FIRST ATTEMPT: adding manually "ubuntu" to the windows boot loader, with no success, windows boot loader ignores it. SECOND ATTEMPT: Installing refind . Let it to do the magic and re-boot. Now, i can see the new boot manager with TWO options, "Windows" and "ubuntu". Windows boots ok, but ubuntu get in black screen. 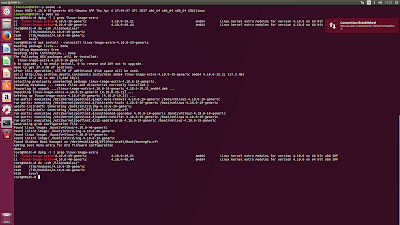 THIRD ATTEMPT: Booting the live rescue ubuntu and using the boot-repair tool (https://help.ubuntu.com/community/Boot-Repair). This tool says that "boot/efi is not mounted". That's ok , i mounted the internal EFI from /dev/mmcblk1p1 to /boot/efi , and next boot-repair do the magic. I don't know how many times i ran refind and boot-repair. I can see many entries in the boot loader, but with no success. i forgot to say that the installed system was correct, i can do chroot to the root partition with success. Using a LiveUSB and mounting '/dev/mmcblk1p1' as '/boot/efi' how much free space do you have left on the partition? If you delete everything under '/boot/efi/EFI' except 'boot' and 'Microsoft' (i.e. delete the directory 'ubuntu' and its contents) how much space is then available? I'm going to delete all the contents except boot and microsoft.. I've just deleted all contents below /boot/efi/EFI , booted from a liveUSB, and leaving only "Boot" and "Microsoft" on the directory. With 53MB free you should just have enough free space. 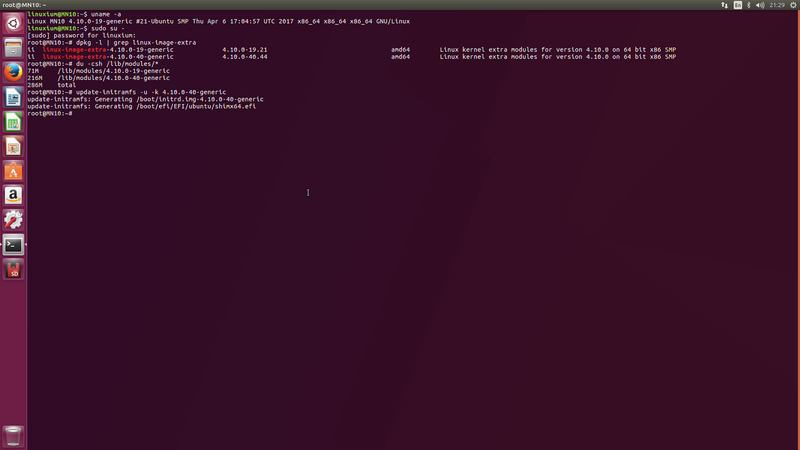 If you reinstall Ubuntu from the LiveUSB it should now work. I tried several times..with no success. I'm now going to test with MINT using 'isorespin'. it works with isorespin and mint. No extra configuration, only following the default procedure . I use as a referer this guide, https://gist.github.com/pjobson/e0b0c99f5d9affb28c1a2f33503c27c7 .. but i really didn't need it. But, it works at the first attempt. Why do I using your pre-made iso , doesn't work? Hmmm.. do you have a idea? I'd prefer if you refer to my guide 'http://linuxiumcomau.blogspot.com.au/2017/06/customizing-ubuntu-isos-documentation.html' rather than one I'm not responsible for. The above ISO was initially created with an earlier version of the script and I've just replaced it with an ISO from the latest version. So the 'pre-made' ISO should also work. I can't do respin with latest kernel because the EFI partition (/dev/mmcblk1p1) gone full (100%) and installer cannot continue. The file inside /boot/efi/EFI/linuxmint/ is around 56 Mb and gets the partition full. There are no other useless information and files inside /boot/efi , and cannot make it greater. I now have a solution for increasing the size of the EFI partition ... see 'http://linuxiumcomau.blogspot.com/2017/12/resize-efi-partition.html'. 1) Using --apollo -u (gets the 4.15.rc3), it works perfectly. But "one small thing". This appears to be a buggy kernel, because the installer hangs in live session in different moments...and with i achieve the installation, and the system comes online booting perfect.. it gets hangs randomly. Completely freeze!. Rescue system works perfect ..but i'm not able to boot with refind neither boot rescue. Now (i spend so many hours doing here), i'm trying to download specific kernel version in order to check if the kernel affects on the UEFI configuration. THe solution was in front of me. So i looked in the wrong direction. But, there are a problem with isorespin if it create .efi files more than the size available in "efi" partition. Next, i saw what in the efi partition were two directories. A directory called "linuxmint" and another called "ubuntu". WTF ? I cleaned every fresh install and, anyway, this file comes again. But, the problem with this is that the efi file (\EFI\UBUNTU\shimx64.efi" is small to boot, or damaged, or i don't know. Second problem: Remove the innapropiate or unnecesary /boot/efi/EFI/ directories. So, after many "isorespin.sh" attempts none of the recent kernels (4.13 to the latest 4.15.rc3) makes a "shimx64.efi" file enough to fit into the 56 free Megabytes that the first EFI partition lets. So, the only kernel that did it is 4.10 (i will test again in the next hours..). This kernel let the "efi partition" up to 99%, but usable and with no errors in installation. WTF?? Check the "EFI" path to SHIMX64.EFI file. It's wrong!!. I ran "boot rescue" and "refind" several times, and all of them makes a mistake with the path? I don't know why, but this is not the correct path. This file exists, but if i try to boot "ubuntu" or "linux mint3"... i got the same black screen. 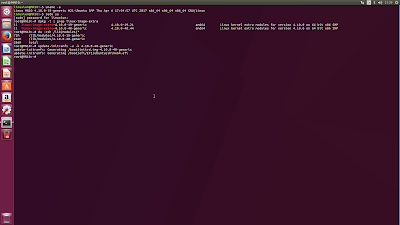 But, if you change it in filepath (cd /boot/efi/EFI; mv linuxmint/shimx64 ubuntu/shimx64), it works. 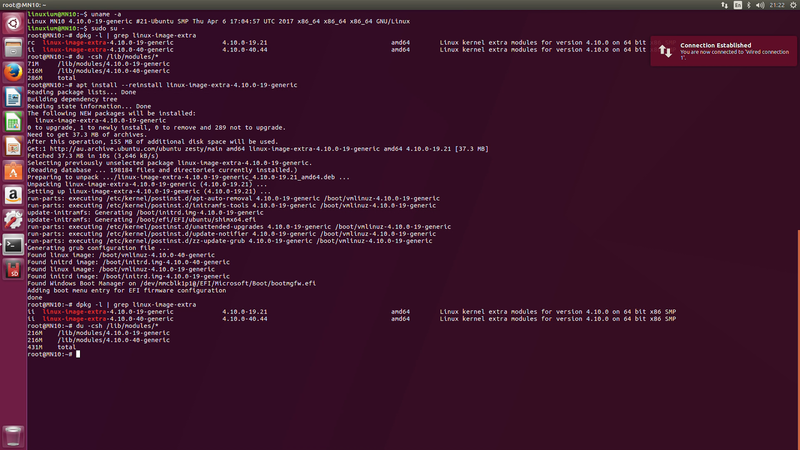 $sudo efibootmgr -c -d /dev/mmcblk1 -p 1 -L "Linux MINT" -l "\EFI\LINUXMINT\SHIMX64.EFI"
And... voila! The new entry is on the Loader, and boot loader gets the file, and starts. $ df -kh |egrep "efi"
In my case, this "shimx64.efi" file is less than 1.2 Mb. And that its. It's worked. Tested twice . Sorry for the long explanation, but i think is better if someone like me landed here by googling for a solution. I could make a script to check all of them, but first i need to test more. When I fixed the script for respinning 'neon' ISOs it looks like I introduced an error in respinning 'Mint' ISOs. If you are interested in helping to test a new version of 'isorespin.sh' you can access it here 'https://goo.gl/3MtdhX'. Once I've confirmed it works with Ubuntu, Mint, neon and others I'll upload it for everyone to use as a new release. It looks well, but i'm unable to install due to the space restrictions. Using "isorespin.sh -i linuxmint-18.13-mate-64bit.iso --apollo -k v4.14.6" works well and generate a iso, but when i tried to install the efi is around 60 Mb that cannot fit into the space in EFI partition (around 54 Mb). I have Ezbook3 pro V4, and had same issue and i wanted to share a quick hint on how to solve it. After i used isorespin with --apollo tag on linux mint 18.3 i was able to boot from live usb, and install linux on on m.2 ssd 128Gb. But then i tried to boot from that ssd, it freeze on startup. The i booted from windows10, and used guide on how to install rEFInd from under Windows from its official website. Now i just chose rEFInd as 1-st option in BIOS boot order. It successfully launches from /EFI partion on eMMC 64gb, and after that, i can chose to boot my linux Mint from SSD. And it works. Cheers! @Unknown: That isn't the solution to having a EFI partition that is too small but an alternative to using my Linuxium bootscript. If you want to use the rEFInd boot manager then you should respin using the '-b rEFInd' option instead of the '--apollo' option (which mirrors the manual invocations of '-b Linuxium' - see 'http://linuxiumcomau.blogspot.com.au/2017/06/customizing-ubuntu-isos-documentation.html'). @Blas: I now have a solution for when the EFI partition is too small ... see 'http://linuxiumcomau.blogspot.com/2017/12/resize-efi-partition.html'. My guess is another process somehow interfered. Try only running the respin without doing anything else and see if then completes. I have in the same folder extracted refind, do you know what I'm missing? Are you running the script on an earlier release of your OS without 'systemd'? If so what OS and version are you using? The file '/usr/lib/systemd/boot/efi/linuxx64.efi.stub' comes from the 'systemd' package (see 'dpkg -S systemd | grep linuxx64.efi.stub'). If it is missing I'd personally look at performing a fresh installation of 16.04.4 when it comes out mid Feb (see 'https://wiki.ubuntu.com/XenialXerus/ReleaseSchedule') and hope I can limp along till then! Is it possible to respin Deepin distro for apollo lake? I'm not planning on incorporating Deepin as it is more a direct Debian derivative rather than Ubuntu one. Hello, I've tried to install Ubuntu17.10.1 into my Yepo 737a(https://www.gearbest.com/laptops/pp_649606.html) but I can't boot it. I tried it again and again but , a message "Not init found. Try passing init=bootarg" always appeared on the display. 2.I respun iso with --apolo option in Xubuntu16.04 on vertual box and it seemed to finish without any errors. Respun ISO created as 'linuxium-apollo-xubuntu-17.10.1-desktop-amd64.iso'." 3.I moved respun iso windows10 and burned bootable USB with rufus. 4.I inserted the usb to target PC and restarted it. 5.I chose bootable USB in rEFInd menu. What should I do to install ubuntu to my PC? When you respun your ISO with '--apollo' did you see 'Intel Apollo Lake devices not booting after installation' in my documentation ('https://linuxiumcomau.blogspot.com.au/2017/06/customizing-ubuntu-isos-documentation.html')? I read it. However, I cannot boot even from an USB stick. It always stops in this screen (http://imepic.jp/20180303/012540) whenever I try to boot it. Try booting the USB from the BIOS boot options and not using rEFInd as the '--apollo' option does not use/need rEFInd. I could boot it from BIOS and install it finally!! I am now use Apollo Lake ,with Xubatu, how can make it work with I2S ? Should I install with platform driver or modify by kernel ? I don't understand from your question what you are trying to do. Can you explain in more detail what you want my 'isorespin.sh' script to do differently? How about installing non-ubuntu distros in apollo devices? does anyone tried? I'm planning to install linux on a "Minix Neo N42C-4" and it doesn't need to be Ubuntu or any debian-based distro. Could be easier for example to install CentOS/Fedora? or my best option is to use this guide and install Ubuntu? (Great job and guide by the way!). You might have issues getting some distros to boot on the 'Minix Neo N42C-4' and extra steps may be necessary. My script simplifies this for Ubuntu-based distros however it is not meant to then restrict you to only Ubuntu but rather assist you should you want to use Ubuntu. For other distros it is probably best to look on their support sites as well as the Minix site for specific distro support. Thank you! I went with Ubuntu using your 16.04 iso. I succesfully installed the OS in the eMMC without any kind of trouble, after that I updated the system and almost everything is working perfectly, except one thing: I plan to disable the desktop and use it 24/7 with web/ssh/samba etc. I already ran: “systemctl disable lightdm” and then I rebooted but it appears that something is triggering a poweroff to the machine after aproximately 3 hours, even with ssh open connections and some commands executing in background. I dont found any relevant entries at that time in /var/log/kern.log or syslog. Do you have any idea of what could be happening? Should I try to install a server iso instead of a desktop one? 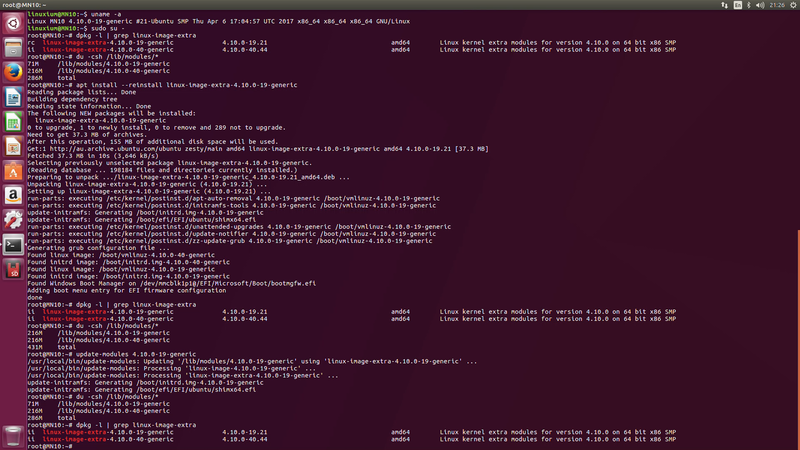 I use a 'Minix Neo N42C-4' as one of my test machines and it runs Ubuntu 24/7. I don't get any unexplained 'poweroffs' (I've just checked and the current uptime is 5 days). Some time ago I wrote the following guide 'http://www.linuxium.com.au/how-tos/creatinganubuntuserveronaz3735fdevice' which may be of interest to you. There is bug in your update-initramfs code. If there are older kernels which are subject to be removed and the 'apt-get autoremove' command is run, an efi file will be generated with the kernel which is getting removed. This resulted for me in an unbootable system crashing to initramfs. I had to mount and chroot the filesystem via usb rescues system and run the update-initramfs command with the current installed kernel to fix this. There appears to be a long-standing typo in the script which is the likely cause. I'll fix and reissue asap. I've fixed the typo and reissued the script so this should not happen in future. I encountered with that problem too. After doing the "apt-get autoremove" my system became unbootable (I got some "mdadm" errors when I tried to boot and then it entered on busybox). I tried the liveusb-chroot fix but I couldn't make it work. Anyway my apollo lake device (minix n42c-4) was defective (random shutdowns, as I said on a previus comment) so I sended it back and got a new one. Yes. And even if the current version doesn't I'll fix it so it does! Having again this "update-initramfs" problem after updating the "linux-firmware" package, but this time I didn't run the "apt-get autoremove", and luckly my system is booting (with the oldest kernel I have, this is "4.13.0-36-generic"). I think i'm using this ISO you made from an older post: "https://linuxiumcomau.blogspot.com.es/2018/03/ubuntu-16044-for-intel-atom-and-apollo.html"
And, ¿Could you help me in fixing the update-initramfs problem without reinstall the entire OS? What is the output from 'ls -l /etc/initramfs/post-update.d/' when booting with your '4.13.0-36-generic' kernel? First make sure you have the latest 'isorespin.sh'. and then post 'ls -l /etc/initramfs/post-update.d/' again. Good. That has updated the software to the latest version and now the 'update-initramfs' will work. To update to your latest kernel enter 'sudo update-initramfs -u -k 4.13.0-41-generic' followed by 'sudo update-grub' and then reboot. 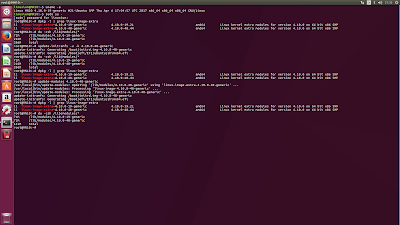 Now I'm not afraid anymore when updating the kernel or running apt-get autoremove.